Got AirPods? Apple's wireless earbuds are selling like hotcakes, fueling rumors that Apple could potentially ship more than 25 million pairs in 2018. Hotcakes indeed! 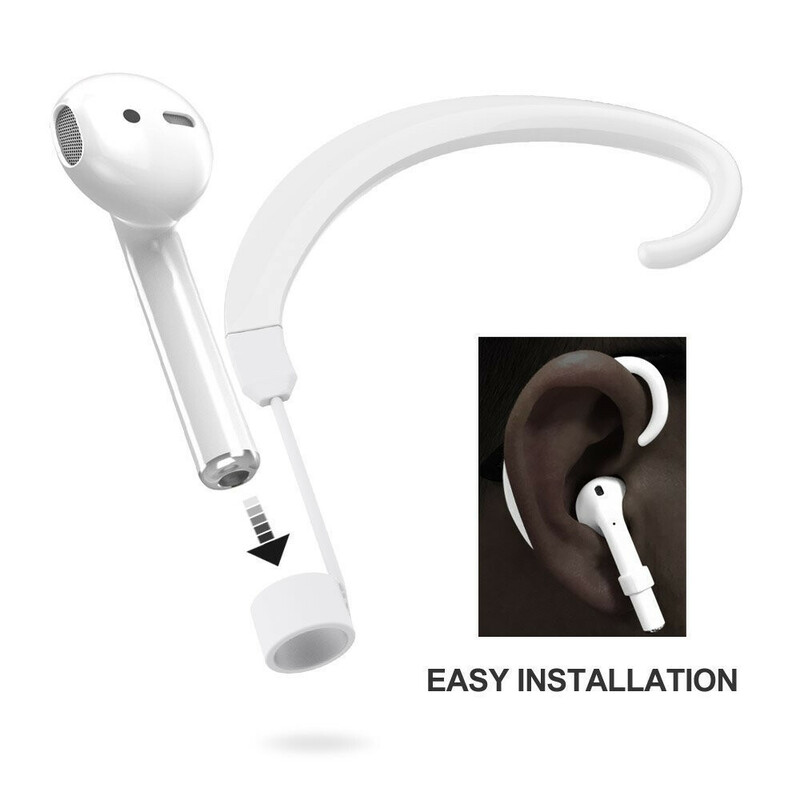 Until then, however, you can still breathe in new life in your first-gen AirPods by accessorizing them with one of the many cool and useful addons you could get for Apple's earbuds. Here are our favorite ones. 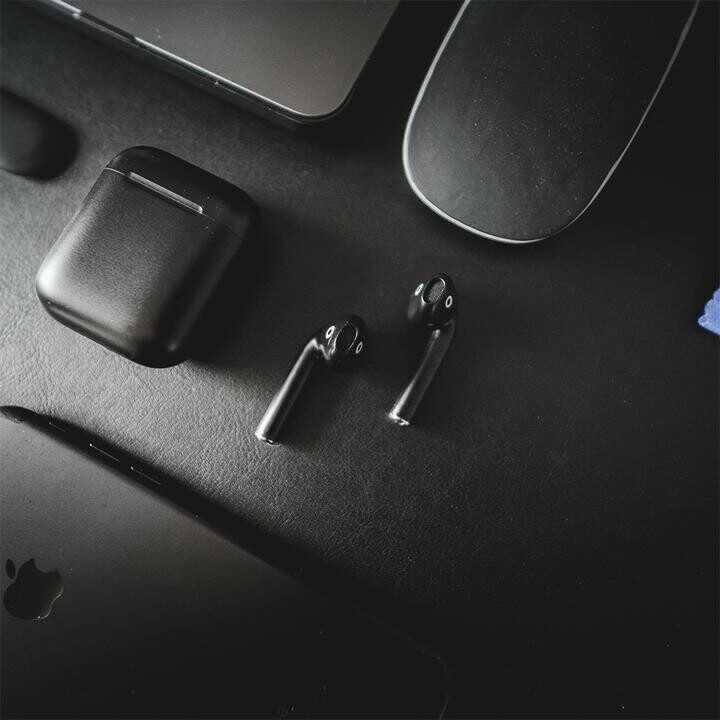 We are sure Apple will come up with AirPods in Space Gray, Gold, or even Rose Gold in the future, but until that happens, custom AirPods are the way to go. 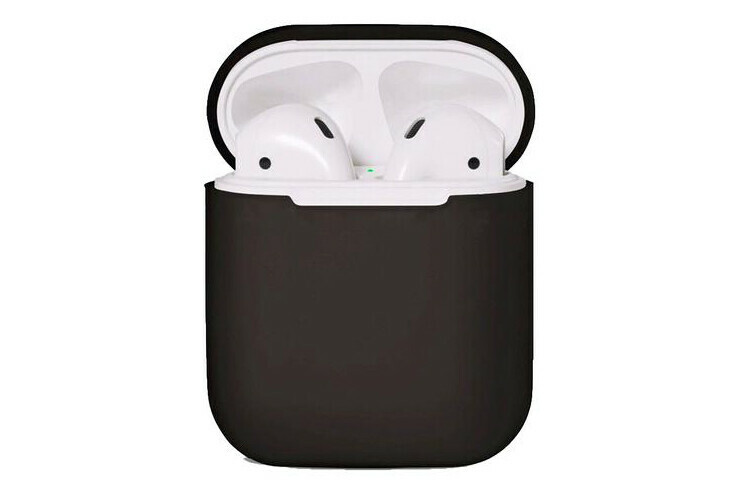 In case you're donning a Jet Black iPhone 7/7 Plus or a Space Gray iPhone 8/8 Plus/X, you might want to go for black AirPods as they'd go much better with the color scheme of your phone instead of the stock white ones. 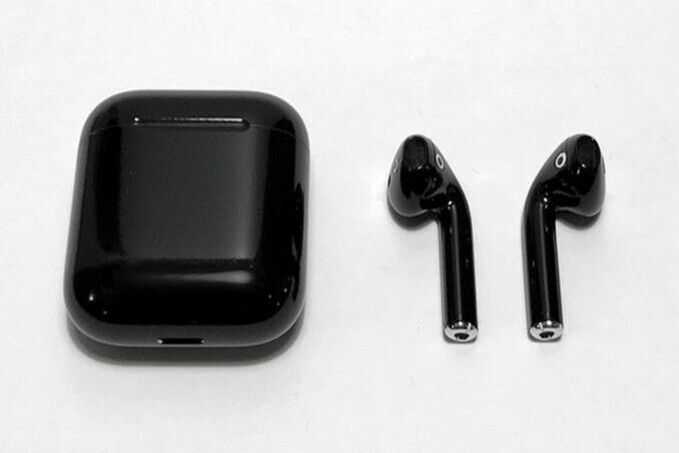 In case you have the cash to burn, BlackPods will sell you AirPods in Glossy/Matte Black or Aero Space Gray color. You should know that not only the charging case is fully-colored, but the AirPods as well, which is inherently nice. If black's not exactly your color, Colorware might interest you a lot. 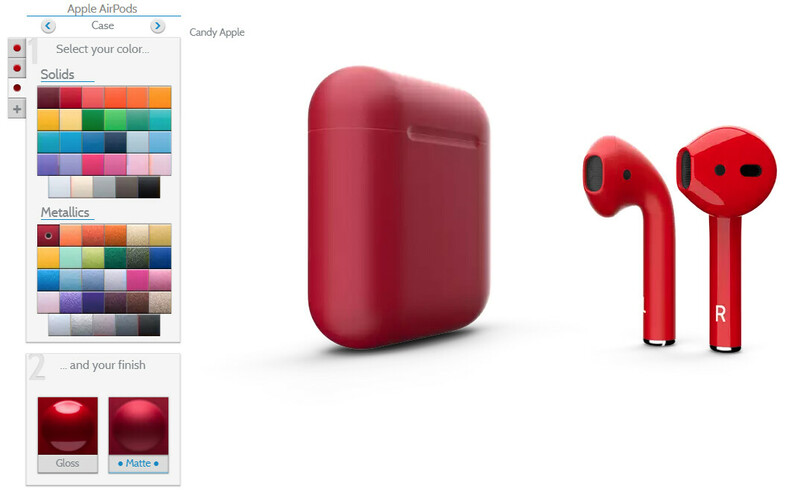 It allows you to customize and order your unique AirPods, having roughly 120 different color options for both the AirPods case and the earbuds themselves. 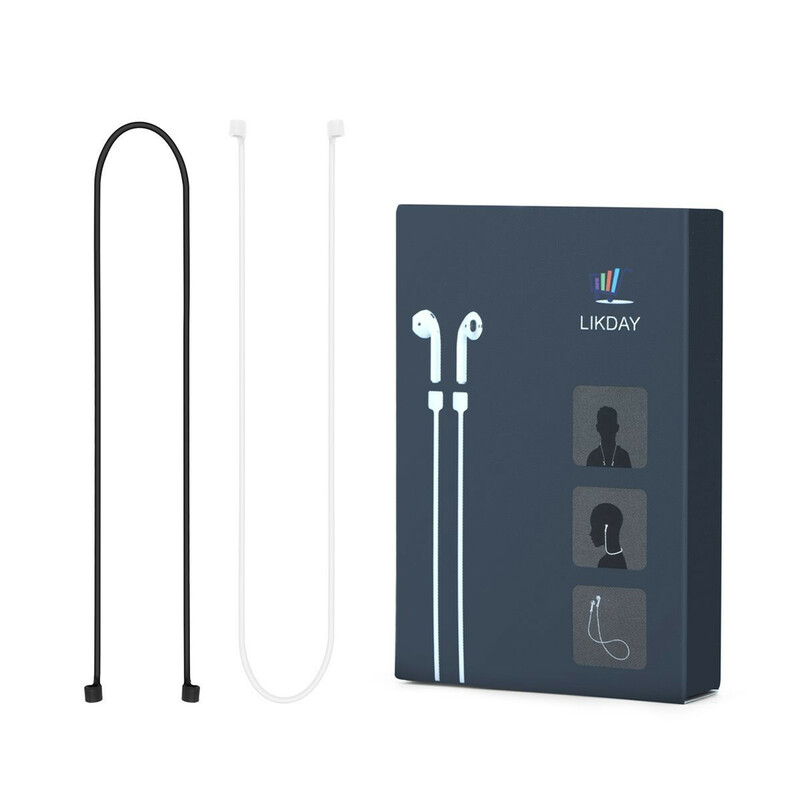 You can not only choose between solid and metallic colors, but also color each earbud differently for truly aesthetic results. 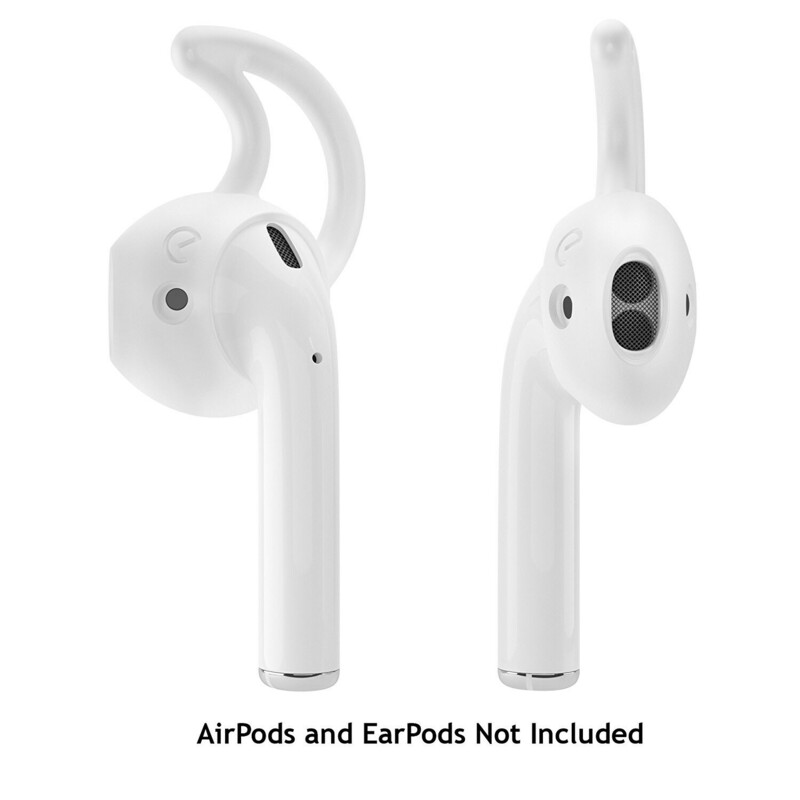 While the AirPods fit comfortable in most everyone's ears, there's still the chance that they might not fit you well and fall of in certain scenarios. 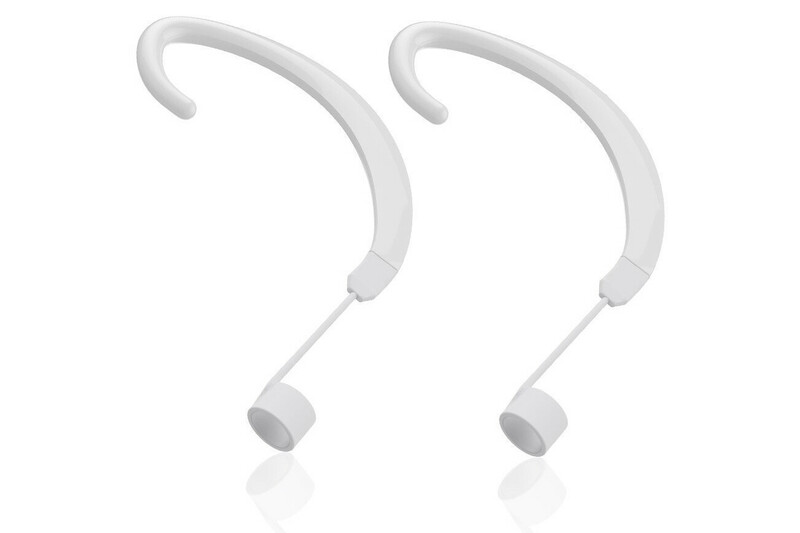 Even worse so if you have, to put it lightly, "unorthodox"-shaped ears. 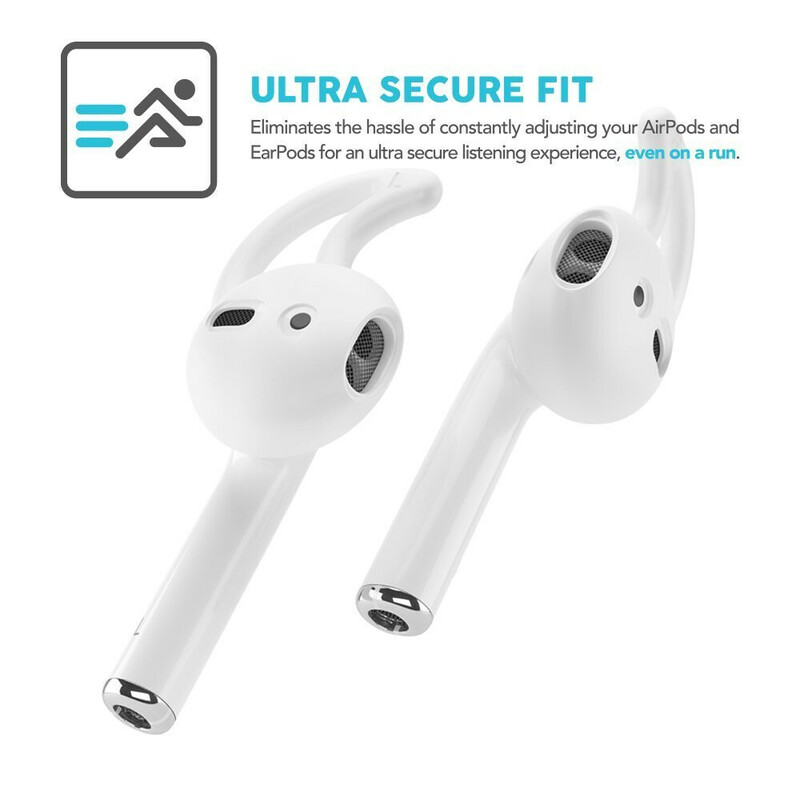 Add-on fins are probably a great solution to this problem some of you might have as it will ensure for a secure fit and safekeep your AirPods right there where they're supposed to stay - in the groove of your inner ears. 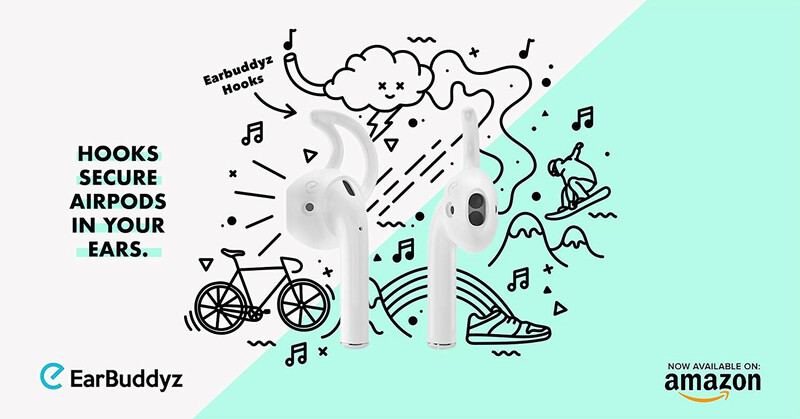 The Earbuddyz are compatible with any AirPod or EarPod model and easily slip on and barely add any perceivable width to the whole shebang. 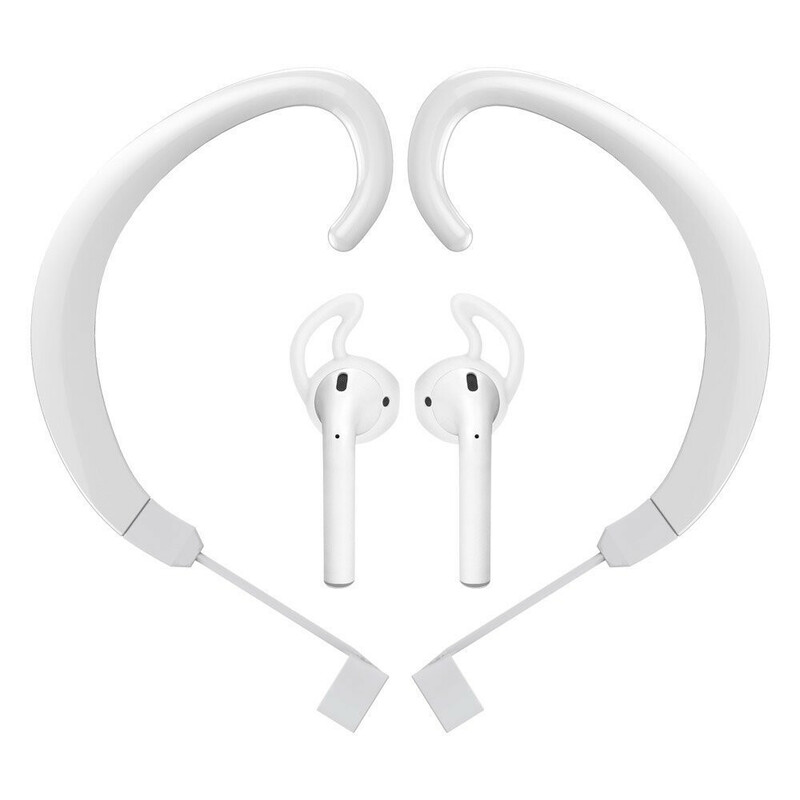 Overall, a great purchase for people who absolutely love the AirPods but have a hard time fitting them comfortably. In case the fins featured above don't float your boat due to one reason or another, you can always go the hooks way. 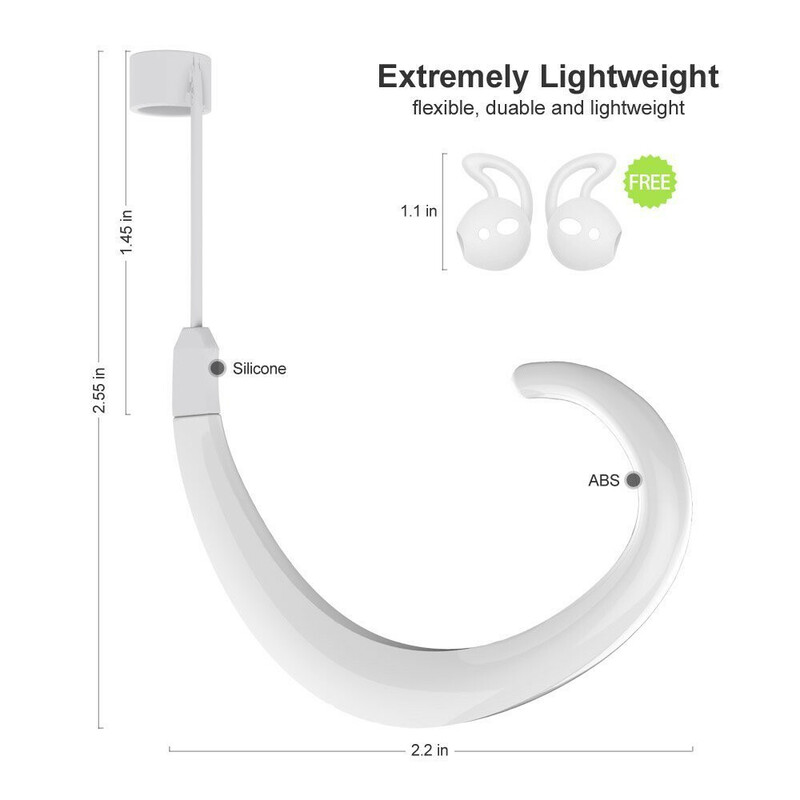 These neat and super-affordable add-on accessories feature small holes that allow you to slide your AirPods through and would then easily slide over your ears, making it essentially impossible for the tuned AirPods to drop off your ears. 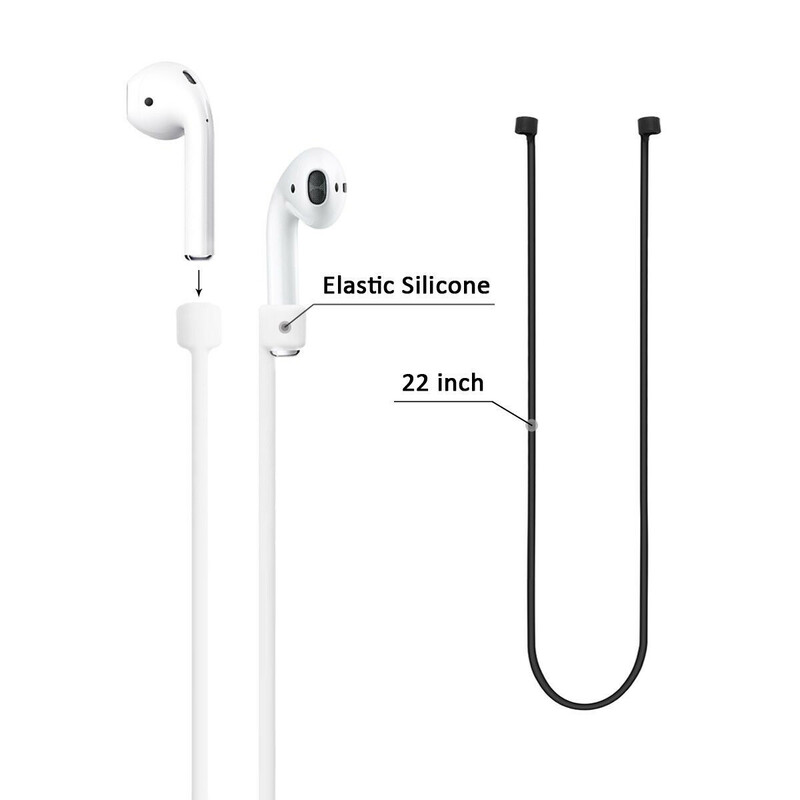 Surely, your earbuds won't fit in the AirPod case anymore due to the added bulk, but taking down the accessories isn't hard at all. 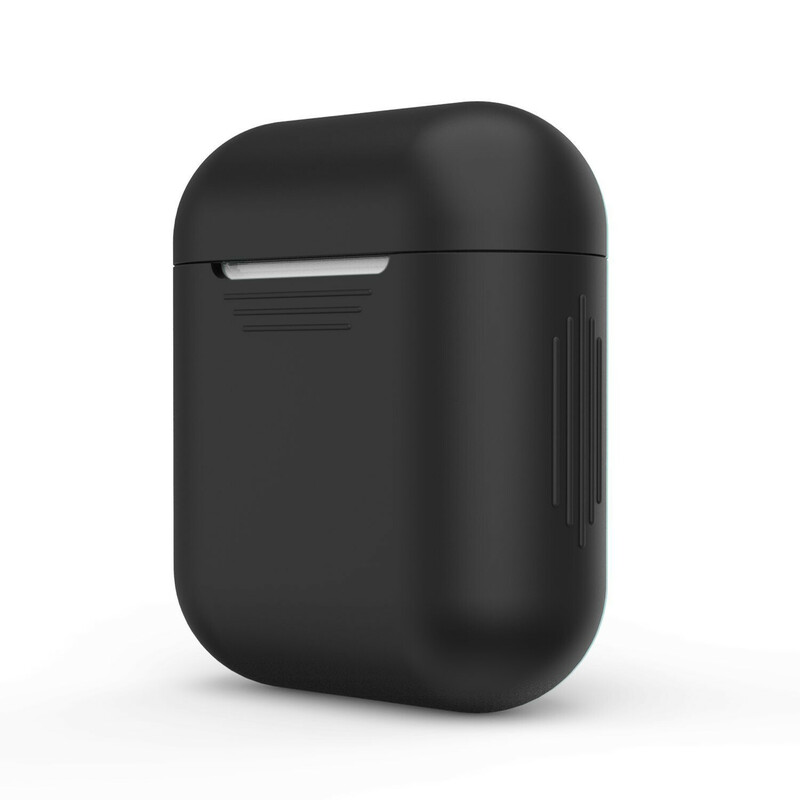 Remember BlackPods' all-black AirPods? 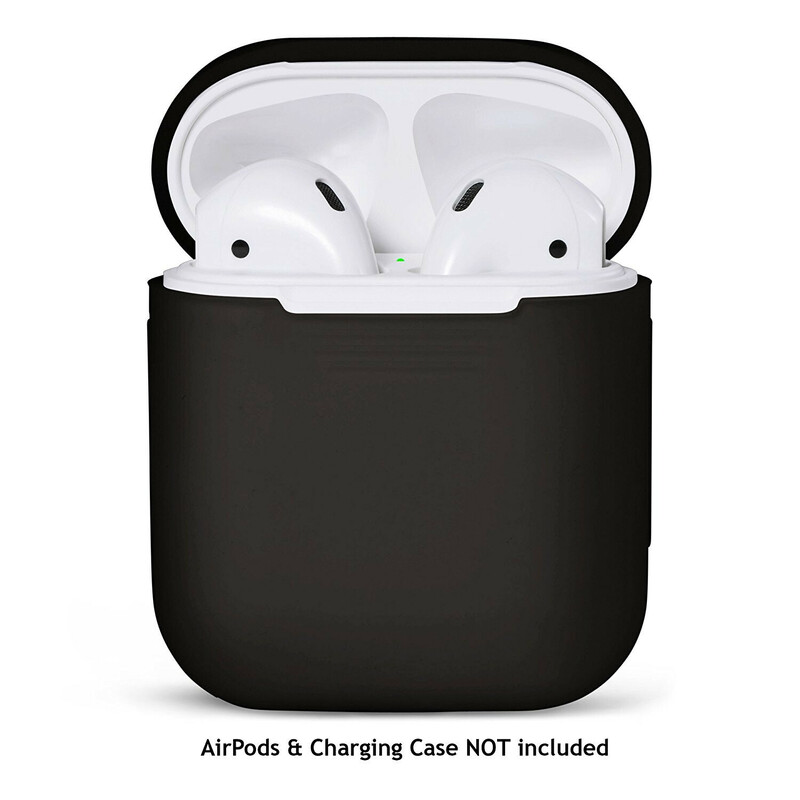 Well, in case you're not willing to part with nearly $300, you can always throw a protective black case on the, uh, AirPods' case and call it a day. 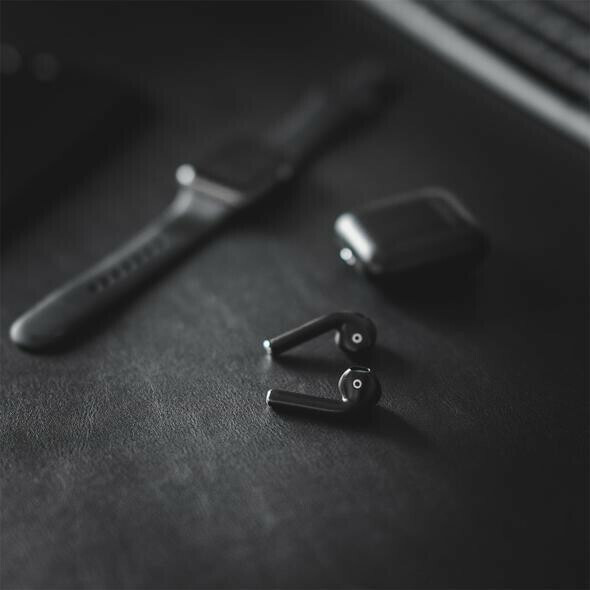 Should that be the case, BlackPods have got you covered with their $7 silicon case which will shield your cool new accessory from getting stained by your jeans, which is quite an unsightly mishap. 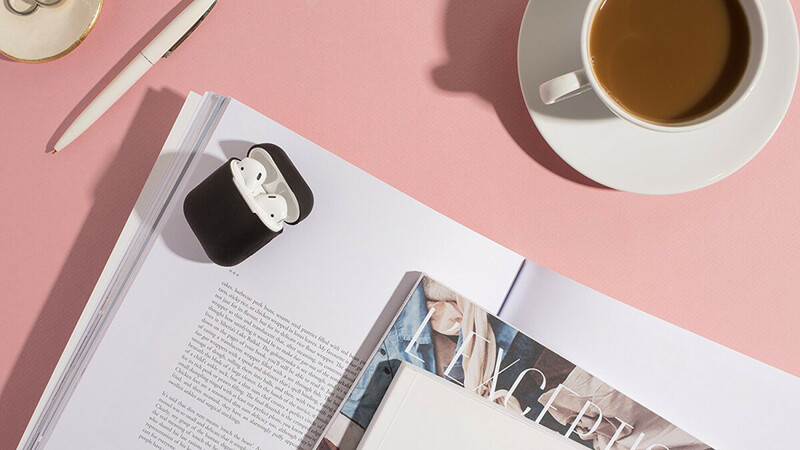 If you've been carrying your AirPod case in your jeans' pocket on the regular, your jeans have likely marred the pristine white looks of it with a noticeable blue gunk that is all but a welcome sight for any gadget. Now, cleaning the mess with a magic eraser is a pro-tip that more people should be aware of, but keeping the case pristine should be a number one priority for all potential adopters. 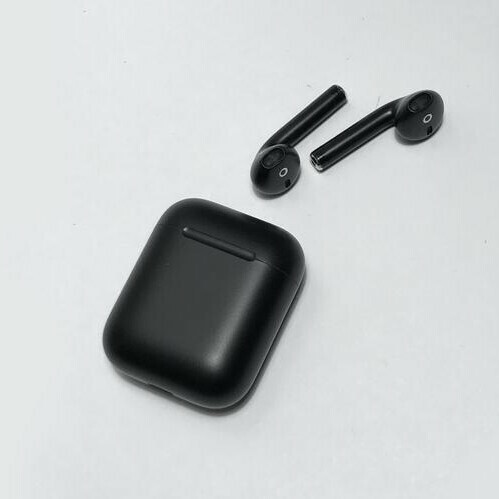 One of the easiest and arguably more appealing ways to do that is to simply throw a silicone case on the AirPod case. 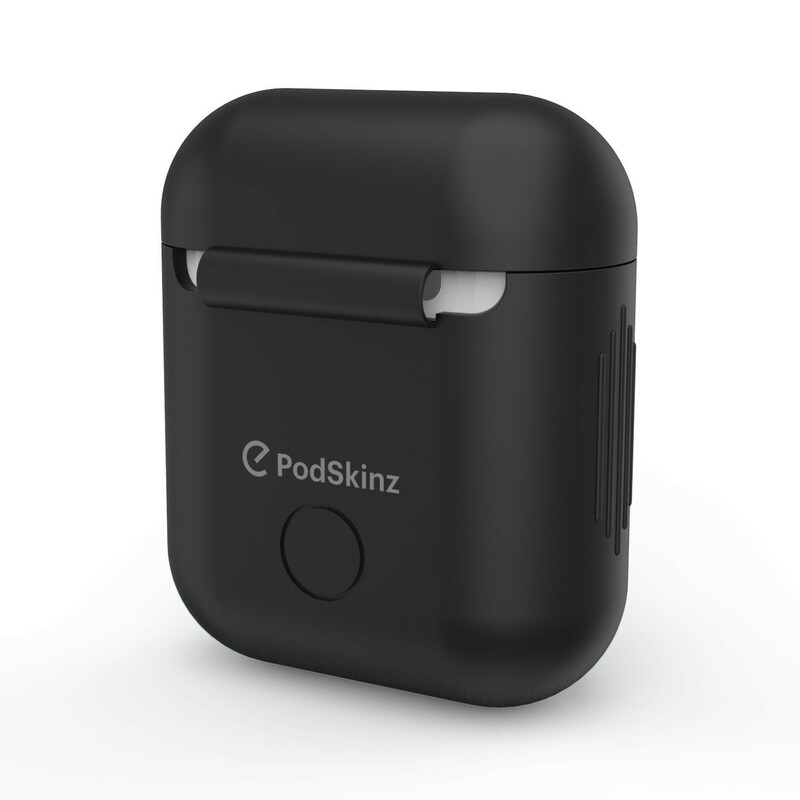 The black PodSkinz one, which is going for $9.95 on Amazon, will do just that - aside from keeping your jeans' dye away from the AirPods, it will also make them a much more matching sidekick for your black or space gray iPhone. 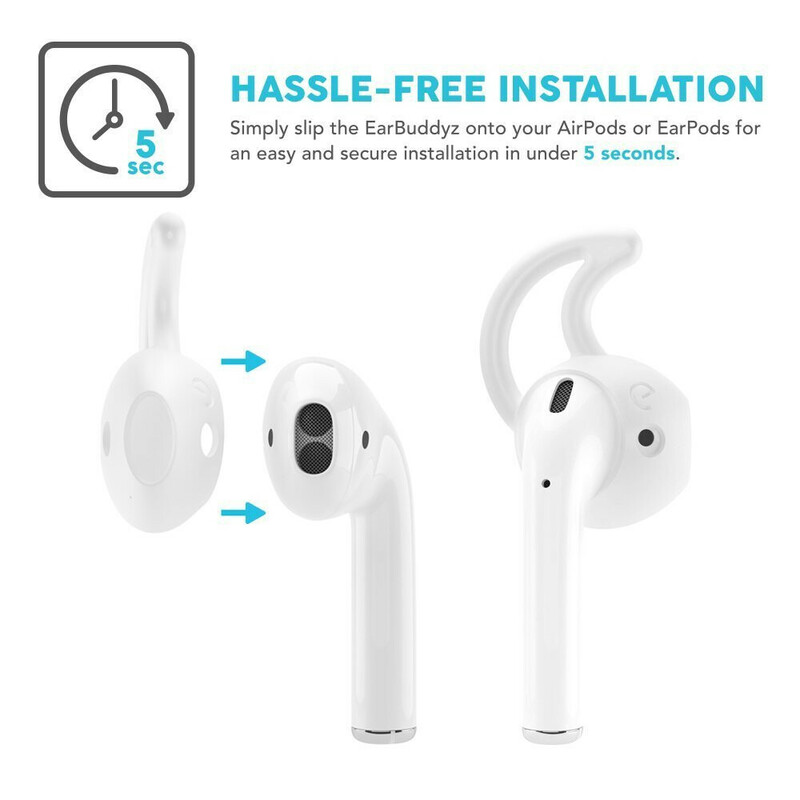 The untethered functionality of the AirPods is one of their biggest advantage and it sounds counter-intuitive that they'd want to take a step back and tether them with a silicon strap, but some of you might be interested in that... because reasons. In case you don't have a liking for fins or hooks but still want to make absolutely sure you won't lose your AirPods during an intensive workout, a silicon strap is your second best bet. 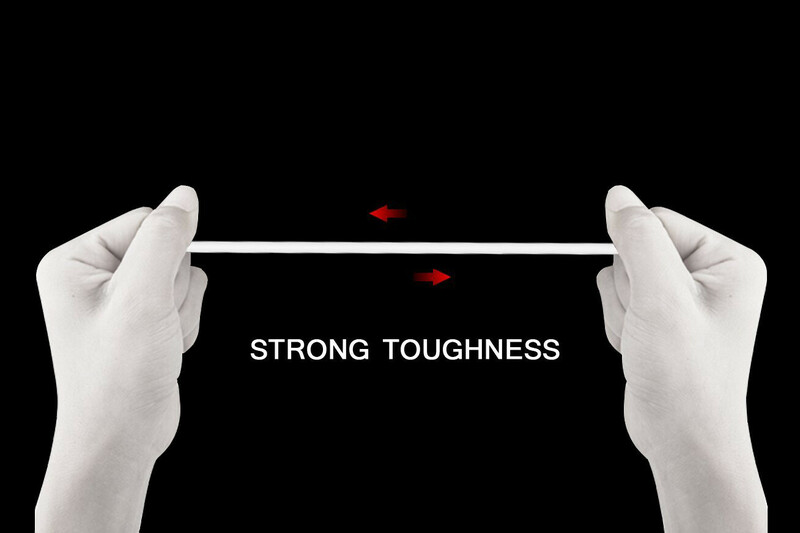 This 22" one (55.88cm) will make sure your AirPods are securely attached around your neck. Skins for the AirPods are dime a dozen on Amazon, Etsy, and a whole trove of other websites, and we can only applaud the ingenuity of some of those. 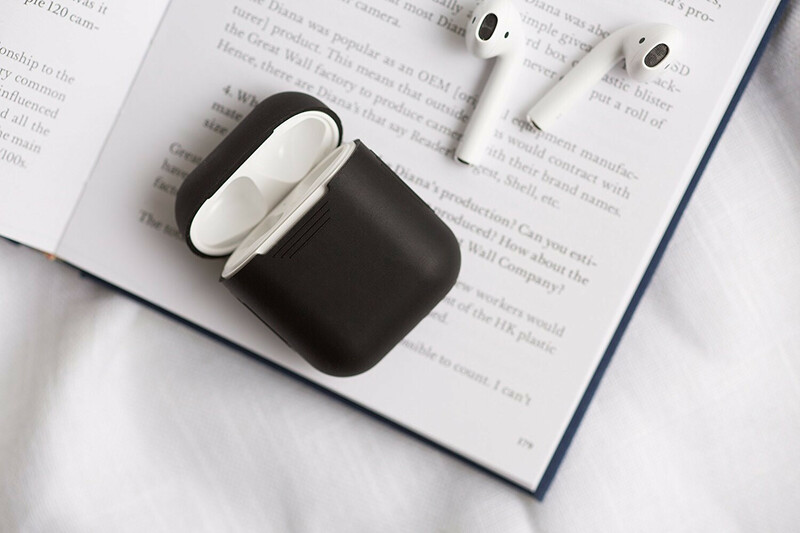 Ever thought of disguising your AirPod case with a vinyl sticker that makes it look like a dental floss box or a pack of gums? Aside from deterring potential thieves, doing that would also boost your street cred with all the cool kids out there. There are ton of others also available for the accessory and we will show you the very best ones we could find. Roll on Airpods 2 that have a rubber coating or Ear fins & can still fit in the charger to charge, please Apple go for usability over style. Come in matt black or matt dark grey as well.